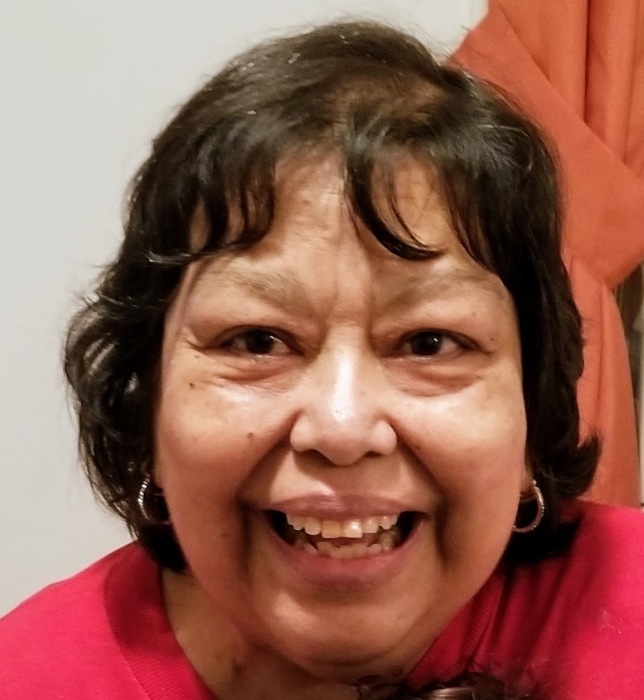 Sylvia R. Sandoval, 63, of Mathis, died Sunday, Feb. 10, 2019, in Mathis. Ms. Sandoval was born Nov. 3, 1955, in Brownfield to Esther R. and Simon Sandoval. She graduated from Mathis ISD, attended some college, and was a certified teachers assistant for 20 years. She was a member of Primera Iglesia Bautista in Mathis. Survivors include two brothers, Robert (Rachel) Sandoval of Mathis and Oscar Ruiz of San Antonio; sisters, Linda (Alfredo) Guerra, Mary Sandoval and Long time friend/Sister Becky Trevino, all of Mathis, Celia (Richard) Ramirez of San Antonio; Extended Family Members: Tiburicio Trevino Sr., Tiburcio Trevino Jr., Terry Ruiz and Rachel Trevino of Alice Texas; beloved nieces and nephews, and great-nieces and -nephews. Visitation will be held Thursday from 4 to 9 p.m. at Primera Iglesia Bautista in Mathis with a prayer service there that evening at 7 o’clock. Her body will lie in repose Friday at the church at 11 a.m. The funeral service will be conducted there at 2 o’clock that afternoon with Pastor Ron Flores officiating. Burial will follow at Descanso Eterno #2 in Mathis. Pallbearers will be Eli Sandoval, Nathan Sandoval, Stephen Kinney and Ricky Cortez.